AvenueWest Northern Colorado, a franchise of Denver-based AvenueWest Global Franchise, opened its doors on November 1, 2013 and is owned and managed by Deb Salek. AvenueWest Northern Colorado connects private landlords with business travelers in need of full service corporate housing. AvenueWest Global Franchise has been tapping into the emerging trend of departing business executives who are finding both financial freedom and life balance through franchise ownership. 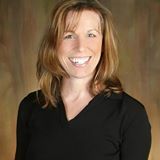 Deb Salek was a former senior level analyst with Qwest Communications and now owns her own AvenueWest franchise. Deb’s exit from corporate America is a developing national trend. Her first step was to decide to leave her office job. She built a successful residential real estate business as a broker associate with RE/MAX, which provided the flexibility she needed with her two young children. Then Deb and her husband, Todd, chose to relocate to Fort Collins, CO, a city they found as the best compliment to their quality of life vision. When looking to target the relocation market more specifically, Deb found AvenueWest Managed Corporate Housing to be an exciting opportunity which taps into both her corporate and real estate experience as she looks to build a long term sustainable business. “I see the real opportunity as being with the individual homeowners who want to offer their furnished homes as corporate rental properties.” Like at the Mason Street Flats in Old Town, for example. To offer your property for rent through AvenueWest Northern Colorado, or to find a property during your temporary stay in the area, contact Deb Salek at 970-797-3099 or via email at: DSalek@AvenueWest.com. AvenueWest Northern Colorado connects private landlords with those in need of corporate housing. Corporate housing is defined as fully furnished rental apartments, homes or condominiums offered for rent on a short-term basis, usually for one month or more. Currently AvenueWest Global Franchise has offices in Boston MA, Colorado Springs CO, Dallas TX, Denver CO, Fort Collins CO, Phoenix AZ and San Francisco CA, and has recently embarked on an aggressive expansion plan with expectations to open an office before year’s end in Atlanta GA.